Lately it seems as though we have all been living out of boxes here at HON Headquarters. But have no fear, it's for good reason! A good portion of our beautifully designed building is being transitioned over to new furniture. My workstation is being switched from Initiate® to Voi® and Abound® as we speak! 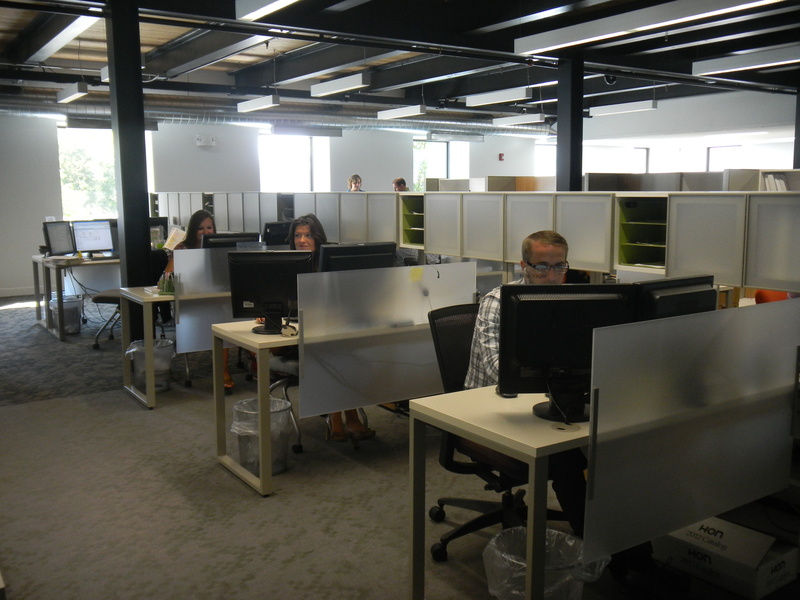 The first area to transition was our first floor, which is where our Solutions Account Group is located. Before, this area was full of Abound workstations. These have been changed to Voi in some areas and a combination of Voi and Abound in others. Throughout the first floor you will see Voi used in several different applications, highlighting its versatility. First we begin with Voi benching. This is a very open and collaborative environment without any overheads, but it still offers plenty of storage with the credenzas down on the floor. Next we have a combination of Voi and Abound. This gives a more private feel but is still very open. 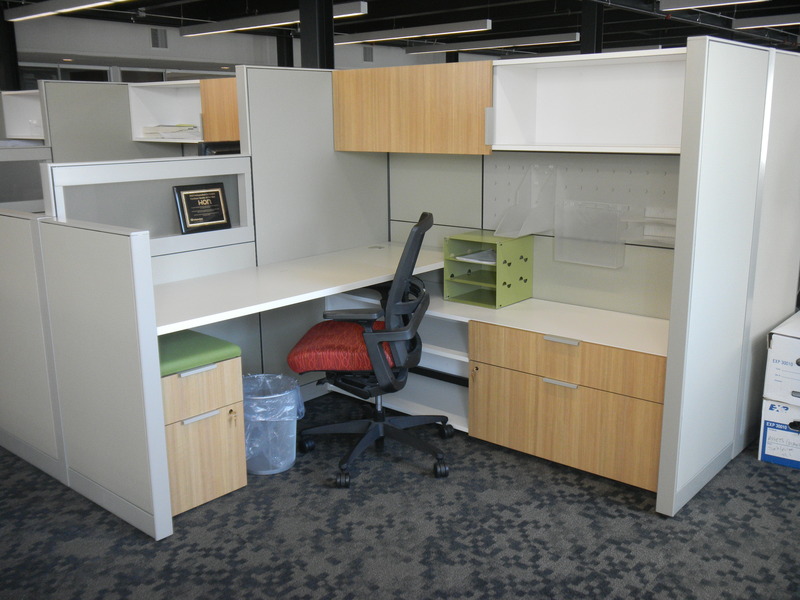 The third area we have is a more private Voi solution but still very functional in an open office environment. 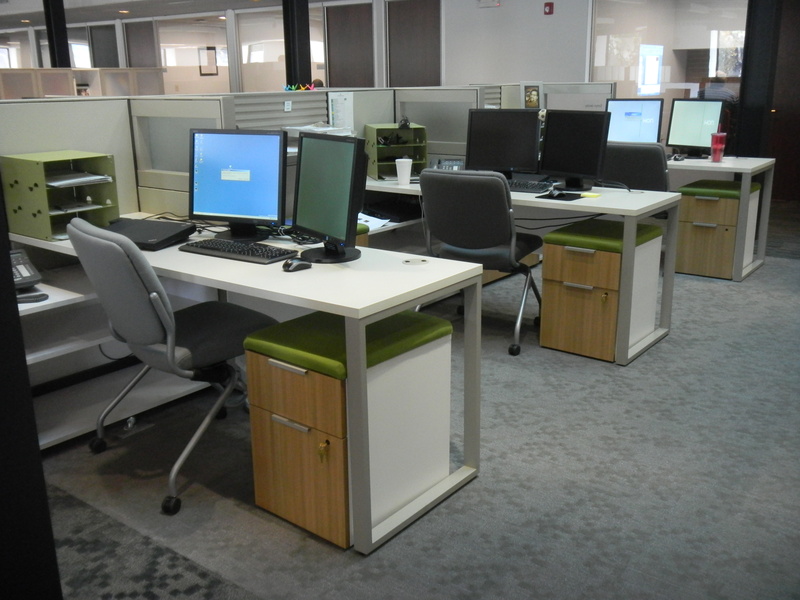 Adding in the overhead units gives more separation between the workstations as well as more storage capacity. The last area we have is a full integration between Voi and Abound. We have taller Abound panels with Voi overheads, as well as Voi worksurfaces and credenzas. This allows for a much more private workstation. As you can see there are many different ways you can incorporate Voi in to any office environment. 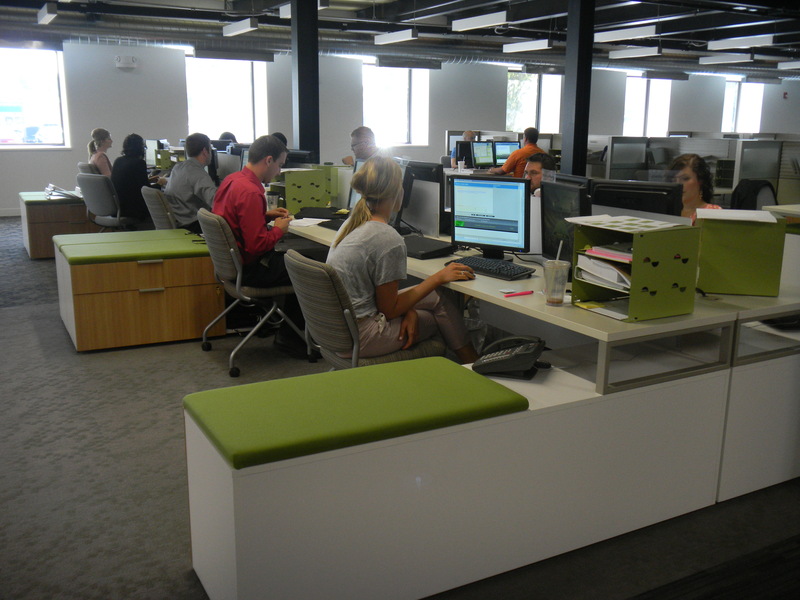 From what I've heard everyone is really enjoying their new spaces here at The HON Company!